Dashlane is a robust, award-winning password manager and digital wallet, trusted by million of users worldwide. It makes digital life simple and safe allowing you to securely keep track of all your passwords and personal info, whether you use them once a day or once a year. Furthermore, It allows you to create unique passwords for all your accounts, remember them, and have them typed for you online, saving you an average of 50 hours per year. 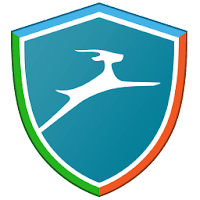 Dashlane is a cross-platform app available on Windows, Mac, Android, iPhone, iPad, Apple Watch and other devices. Access Dashlane at home, at work, or anywhere in between. Dashlane is available in 3 editions - Free, Premium and Business. Dashlane Premium is an annual subscription that gives you unlimited backup, automatic sync across all your devices, direct access to your data on the Web app and priority support. Disclaimer: Direct downloads for the lastest version of Dashlane 4.8.7.35982 are provided by the official software's author, we can't guarantee safety, availability or download speed. Moreover, we don't and we won't provide any pirated/illegal versions or tools. We recommend you to avoid it as these methods can harm your device. If you like the software, buy it to support the developers. (We provide software discounts for many worldwide brands).